Volga White was born on a farm in the Northern Cape. She taught art for three years, then worked in public relations for several years, while traveling abroad extensively. She began to focus on art as a career in 1984, beginning with a solo exhibition. Between 1984 and 1995 she participated in group exhibitions at various galleries on a regular basis. 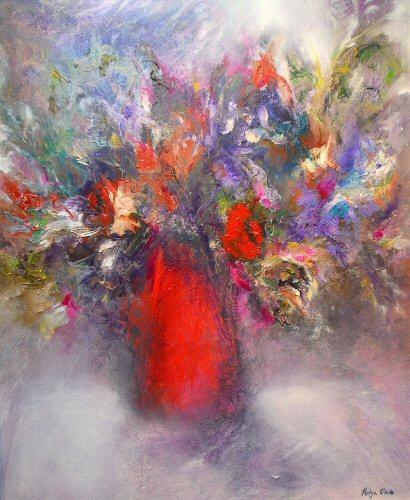 She paints predominantly with oils, but is also comfortable with acrylics, water colours and mixed media. 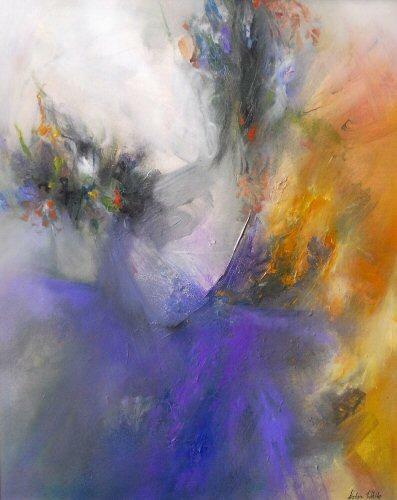 Her work is abstract, spiritual and impressionist. She build images by splashing, stroking and staining struta of paint across the canvas, looking for life to pulsate on these surfaces. Her work can be seen in various galleries in South Africa as well as in countries such as Namibia, Germany, Switzerland, Canada, and Belgium.